On this Halloween, I have a frightening tale of decaying wealth, failed attempts at resurrection, a dying reputation, and a Lynching. Of course, I'm talking about the Fidelity Magellan Fund, once the largest mutual fund in the world. 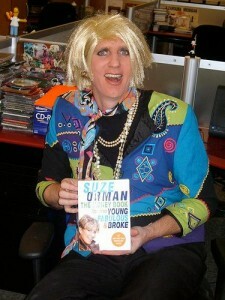 And you should listen to me, because I once dressed as Suze Orman for Halloween. You may have heard of the Magellan Fund, or its onetime star manager, Peter Lynch. He ran the fund from 1977 to 1990, and produced an average annual return of 29 percent, outperforming the S&P 500 by almost 14 percent per year. To illustrate how powerful such performance can be, I fired up my Morningstar Principia Hypotheticals software and calculated the return statistics for Magellan from Jan. 1, 1977, to Sept. 30, 2012, and compared those numbers with an identical investment in the Vanguard 500 Index fund, which aims to track the performance of the S&P 500 (a common measure of the overall U.S. stock market). First, an observation about the mathematics of investing. You might think that an investment in the Magellan fund would be worth approximately 50 percent more than an investment in the Vanguard 500, since Magellan's average annual return was approximately 50 percent more than the Vanguard 500's. But actually, the resulting amount is 414 percent more, or more than four times the amount of money an investor would have had by investing just in the S&P 500. That is the power of compounded returns over the long term, and it doesn't require a five-percentage-point annual difference; even earning an extra percentage point or two a year — or paying an extra percentage point or two less in annual fees — can really pay off. But wait! These returns are measured in the period from right before Lynch's reign to today. How has Magellan performed since Dec. 31, 1990, right after Lynch's departure? As you can see, Magellan has not been able to repeat its stellar performance once Lynch left. Investors would have been better off in an index fund since 1990. Once a management team leaves a fund, its past performance is meaningless. In Magellan's case, the fund's performance — relative to the S&P 500 as well as its peers — has steadily gotten worse. According to Morningstar, the fund has underperformed 95 percent and 79 percent of similar investment funds over the past 10- and 15-year periods, respectively, and underperformed the S&P 500 by an average annual 3.0 percent and 1.8 percent, respectively. In 2005, Fidelity put Harry Lange in charge of Magellan. He has worked at Fidelity since 1987, and had great success managing the Fidelity Capital Appreciation Fund. But Magellan's relative performance continued to decline, getting spanked by 94 percent and 96 percent of its peers over the past three- and five-year periods, respectively, and underperforming the S&P 500 by an average annual 5.7 percent and 4.8 percent, respectively. Due to Lynch's success managing Magellan, money poured into the fund. Once a fund gets bigger, the universe of stocks it can buy shrinks. A huge fund can no longer choose from among the thousands of smaller stocks without itself driving up stock prices with millions of dollars' worth of purchases. It is then relegated to choosing from among a few hundred multibillion-dollar companies, which historically have not performed as well as smaller companies. Of the 2,299 distinct domestic stock funds in the Morningstar database, Magellan is No. 36 on the size list. Despite its lousy performance over the past few decades, many people are still invested in it — perhaps millions of them. I'm not sure why, but my guess is that one of the biggest reasons is inertia, as suggested by financial planner and columnist Allan Roth (one of my favorite financial writers). People invested in the fund, perhaps due to its long-ago extraordinary performance and its association with super-investor Peter Lynch. Today they just aren't aware of its underperformance or haven't taken the initiative to move their money. And now, the final lesson. Once a year, visit Morningstar.com to see how your funds are performing relative to similarly invested funds and relevant benchmarks. Even great funds will have a bad year or two, so check the performance over periods of three and five years. Unfortunately, you'll likely find that many, if not most, of your funds will underperform index funds that choose from the same types of investments, since history says that the majority of actively managed funds lose to index funds. If your fund is among the stinkers, look for another option. In honor of Halloween, I hereby declare Magellan a zombie fund — one that should have died decades ago, but keeps on living, eating more and more of investors' potential wealth. A year ago, Fidelity replaced Harry Lange with Jeffrey Feingold as Magellan's manager, and the fund has outperformed 81 percent of its peers — but still lost to the S&P 500 by 1.5 percent. Given Fidelity's inability to find a successful replacement for Peter Lynch and resurrect Magellan's performance, investors will likely add more life to their finances by getting all Rick Grimes on this portion of their portfolios. Final note: Happy birthday to my sister Karen, who despite being born on Halloween is one of the sweetest, reliable, and least-scary people I know. There are 20 reader responses to "5 principles of fund investing, as illustrated by a zombie". Isn’t it amazing that an S&P 500 index fund is so simple, yet so hard to beat? Unfortunately, your comment right there is the reason so many people get into trouble when investing in mutual funds or index funds. You can’t win. It is statistically unlikely that one can beat the market year by year for 30 odd years. At some point there will be a reversion to the mean (under performing). And then you have expenses on top of that (Actively managed funds will incur higher expenses as a result of increased transaction and managerial fees). The reality is that the expense ratio is the most effective way of determining success of a fund over the long term (due to compounding). A passively managed index fund with no-loads (both front and back end) or 12b-1 fees will reduce expenses to an absolute minimum and provide maximum yields with the minimum risk. Your goal should be to TIE the market because it is both easier and less risky to do so. The easiest way for most people to go about this is to buy into Total Stock Market Fund and a Total Bond fund in proportions based on your risk tolerance. I would suggest that anyone who has a retirement plan read “Common Sense on Mutual Funds – 10th Anniversary Edition” by John Bogle. It is the most valuable investment I have ever made. I would also suggest reading the boglehead wiki site. Loved the picture, and enjoyed the post! I wonder how many other zombie funds there are out there? The inertia thing is a good point. But for more than just why you said. With many things financial, we sort of just continue with what we’re doing and let it keep building and moving forward, even if it’s not working! It’s just easier that way. But we’re shooting ourselves in the foot. Get off the inertia wagon and take control. Sure, it takes energy and willpower, but hey, it’s worth it. Holy Moly! That picture is frightening! I fell prey to inertia too. It’s hard to move things around once you are settled. That’s why I’m moving most of my investments to Vanguard. I’ll keep a portion for active investment and I know I’ll pay attention to that. I think we should also pay attention to the fee. Sorry, I was so distacted by your Suze Orman costume that I couldn’t read the article. Best costume ever!! Liked the pic, LOL! Were you at work? Too funny. This was a great article, especially principles 4 and 5. Maybe we sometimes treat investments like they’re savings accts and cd’s and don’t check them as often as we should? I’ve been guilty of this. Life gets busy and complicated, and I forget about my investment until it really takes a dive. But, wouldn’t it have been fun to catch a ride on that voyage with the mighty Magellan from the year 1977 to 2012!?! Weeee! That’s one happy retired boomer. All in all, you have solid advice per usual, but I’m just sayin’–someone out there rang the register. By the way…you have her eyes. Booohahaha. Great post. Wish I could get some 29% average returns !! All great principles. The differences in the same fund are astounding. 314% more (414% is wrong, btw, it’s 414% of the other value, which is a 314% increase) versus 17% less. It’s important to keep these things in mind since it goes against what we want to believe (at least, what my “gut” would tell me at first thought). Great article. The reason I am all for passive investing. I’d love to get the returns the Magellan Fund offered, but with thousands of mutual funds out there, the odds I’d pick that fund are slim to none. As a result, I’ll just take what the market gives me. Read “Common Sense on Mutual Funds: Fully Updated 10th Anniversary Edition” By John Bogle. It will answer all your questions on the where, what, and how of mutual fund investing. If that isnt enough there is a boglehead wiki site that goes into the basics of mutual fund investing and more detailed strategies. Thanks! Your articles are filled with beautiful gems of knowledge. Now I am going to review my funds and make sure I don’t have any zombies lurking around. Interesting post. Doesn’t principle number 3 depend on the fund manager? Warren Buffet invests in large companies that are relatively old but argues that more than returns one has to look at the managers, their values and their track record. I assume the same can be said for mutual funds – a manager has a great impact on the returns. Magellan’s success could have had more to do with Lynch than other factors. Is there a good resource for researching fund manager history? Although I have a preference for dividend growth and indexing investment strategies, I think it’s reasonable to have some exposure to actively managed funds. Different management strategies may perform better at different times. This is one reason I prefer index funds. I don’t have to worry too much about a fund becoming bloated and under-performing. Nice article. 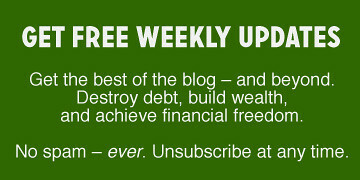 I find that the mechanics of compound interest are often difficult for investors to grasp. Also, we can’t forget about fund fees. As you point out, all else being equal, a one percent difference in fees may drastically alter your final investment. That’s why ETFs often make more sense for casual investors. Similar performance, and drastically lower fees. I definitely agree with Principle #5. You cannot just invest your money without monitoring the movement and performance of the funds you have invested.